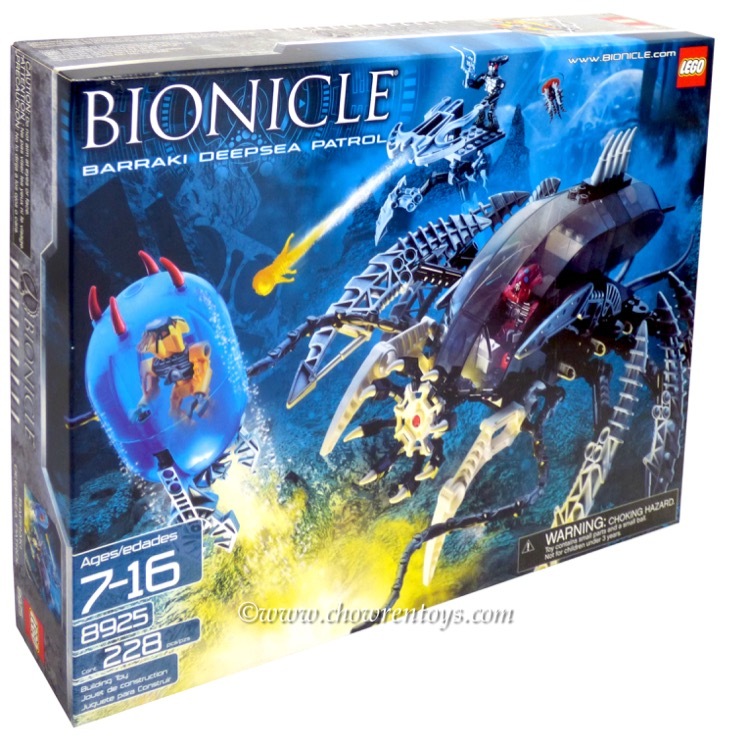 This is a BRAND NEW set of LEGO® BIONICLE® Mahri Nui 8925 Barraki Deepsea Patrol from 2007. This set is still factory sealed and the box is in very good condition with minor shelf wear. 228 pieces and 4 minifigures©. 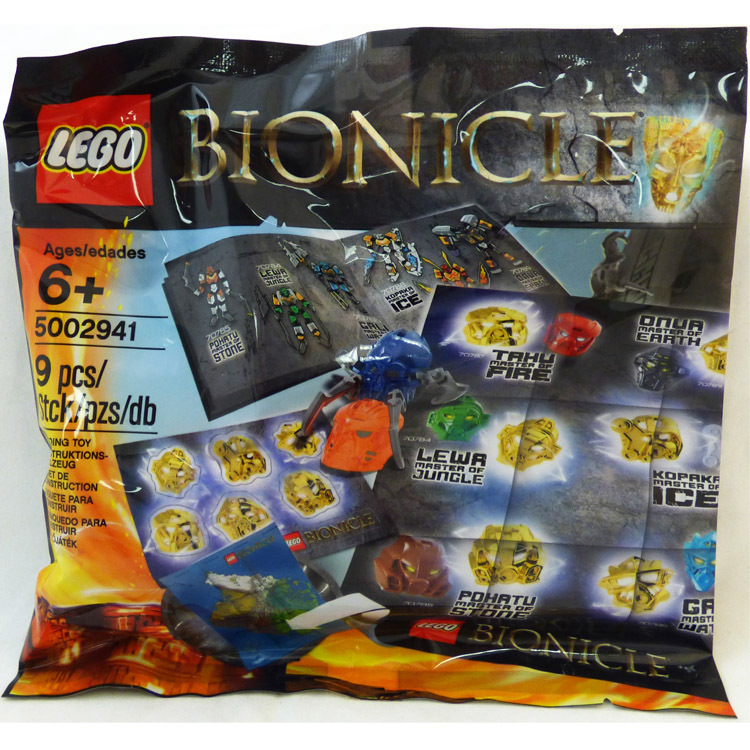 This is a BRAND NEW polybag set of LEGO® Bionicle® 5002941 Bionicle® Hero Pack from 2015. This polybag set is still factory sealed and is in very good condition. 9 pieces and no minifigures©. 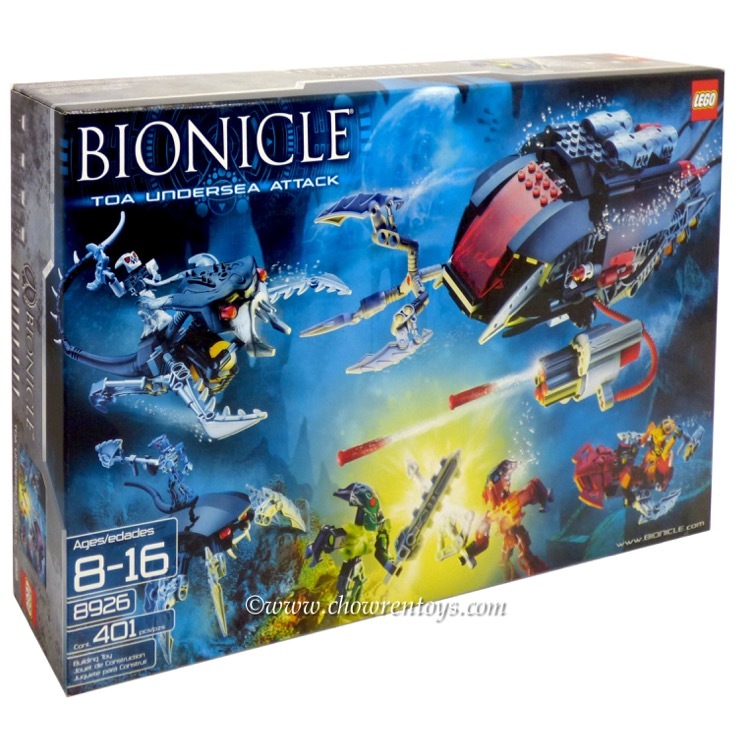 This is a BRAND NEW set of LEGO® BIONICLE® Mahri Nui 8926 Toa Undersea Attack from 2007. This set is brand new, however the box you receive may have one or more of the following conditions; broken seal, crushed or punctured box, sticker damage, heavy creases, wrinkles, dents and shelf wear. 401 pieces and 6 minifigures©. 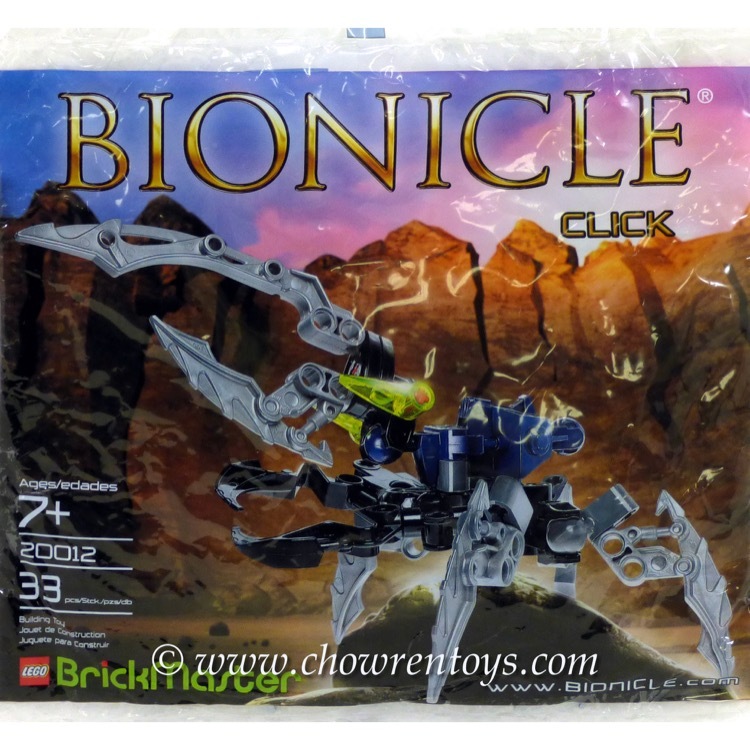 This is a BRAND NEW polybag set of LEGO® Bionicle® 20012 BrickMaster - Bionicle® from 2009. This polybag set is still factory sealed and is in very good condition. 33 pieces and no minifigures©.